Comarch EHR (Electronic Health Record) is a comprehensive IT system for managing e-documentation in all sorts of medical entities. 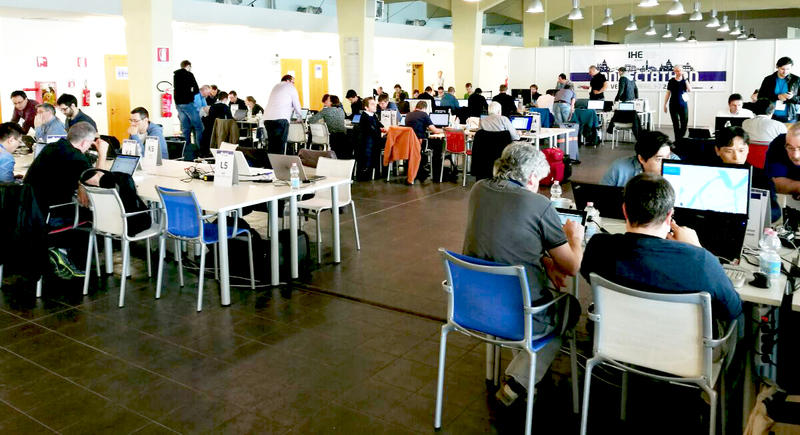 The system’s interoperability and conformity to IHE integration profiles, globally considered to form the technological framework for effective integration of medical IT solutions, were confirmed during Connectathon 2017, held from 3-6 April in Venice. Assuring an appropriate level of medical care using advanced achievements in electronic medical documentation requires integrated actions by many different medical entities. For this reason, IT systems are developed with interoperability guaranteed by the application of common standards for healthcare data collection and exchange. In the medical sector, improvements in the interoperability of IT systems are carried out by IHE (Integrating the Healthcare Enterprise). IHE develops integration profiles that describe data exchange scenarios to ensure that they are compatible and comprehensive. IHE integration profiles form a globally recognised technological framework for the effective integration of various medical IT solutions. This was confirmed in 2015 by the European Commission, which recommended the use of IHE profiles in public procurement in the area of healthcare (Commission Decision (EU) 2015/1302 of 28 July 2015). IHE organizes the annual Connectathon, where authors of IT solutions test their systems for conformity to IHE integration profiles. During this year’s edition of Connectathon, held from 3-6 April in Venice, Comarch Healthcare representatives tested the interoperability of their company’s electronic medical documentation system with more than 20 other suppliers of analogical solutions (including AGFA, Tiani-Cisco and Siemens). The test marathon confirmed Comarch EHR’s conformity with 9 IHE integration profiles, including PIX (Patient Identifier Cross-Referencing), which handles management of the inter-domain patient ID, and XDS.b. (Cross-Enterprise Document Sharing), the profile that assures efficient and safe electronic documentation exchange within and between medical institutions.